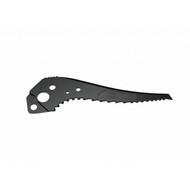 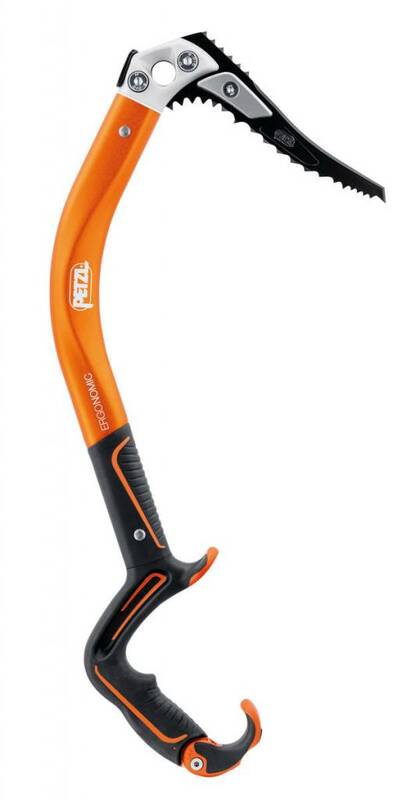 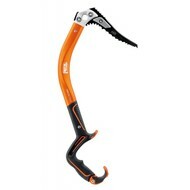 The ERGONOMIC ice axe is designed for steep ice and for dry tooling. 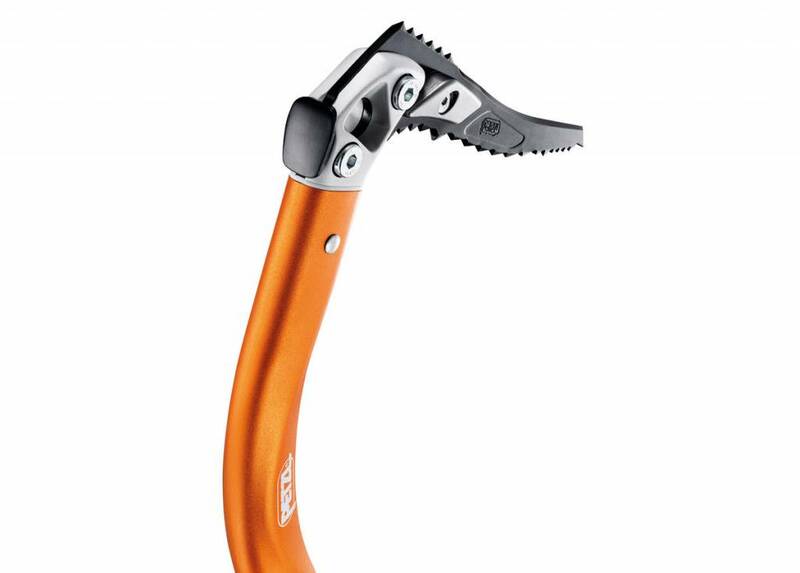 The sharp angle of the handle is ideal for prolonged hanging and increases power when pulling. 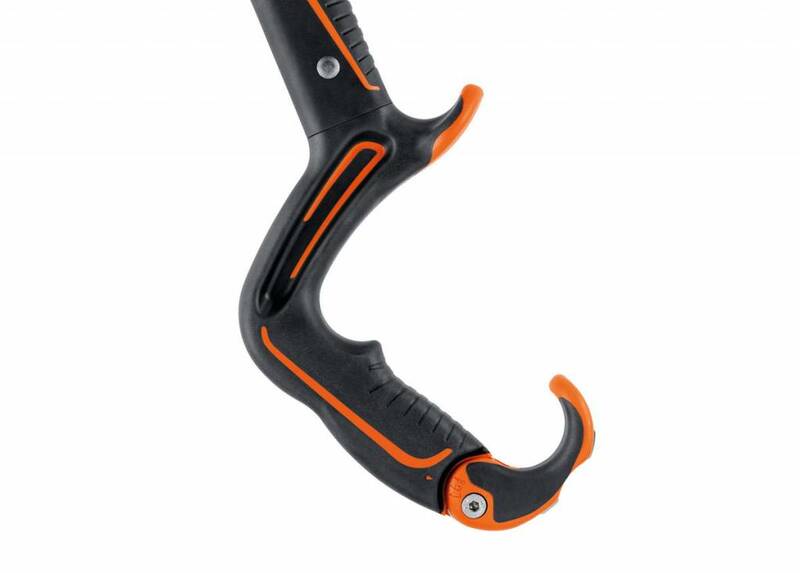 The double handle offers multiple grip modes and stable hand switching. 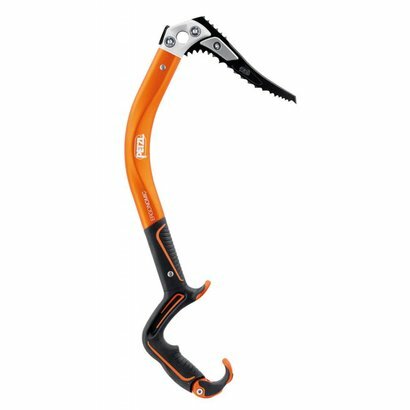 At home on rock or ice, the DRY pick optimizes inverted positions and the weights facilitate slotting of the pick in cracks. 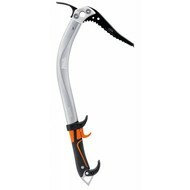 Featuring a minimalist hammer, the head is protected and allows the user to hammer a piton back in. 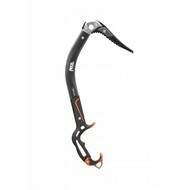 It is entirely modular and can be configured for the requirements at hand.